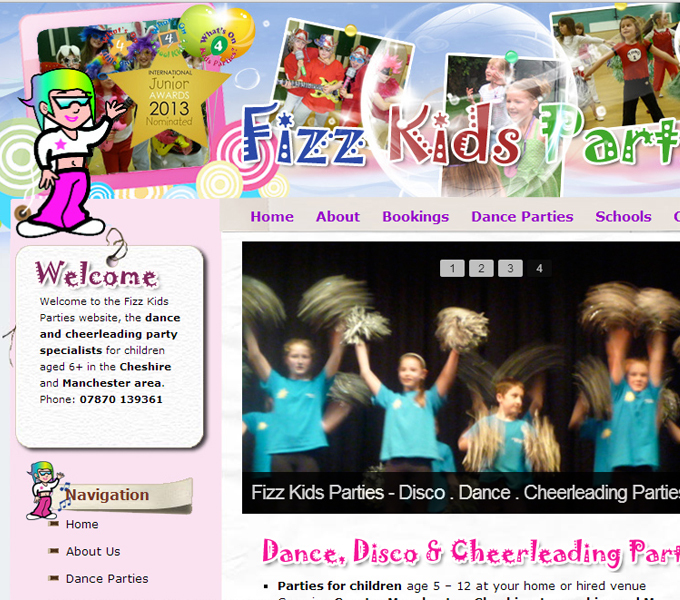 Fizz Kids Parties was set up in 2003 by Lorrayne an experienced dance and cheerleading coach who works in and around the Greater Manchester andCheshire area delivering workshops, afterschool clubs and active school days and runs a successful cheerleading team The Manchester All Stars. She also works freelance for Manchester Leisure on big sporting events for children and is known for her imaginative dance moves, enthusiasm and fun personality. Every Fizz Dance or Cheerleading party is special with lots of fun, original easy to follow funky dance routines and are tailored to the ages of the children. For a full 2 hours the children will be entertained from the minute they arrive to the minute they leave. For larger groups an assistant will help out (Additional charge for groups over 30).